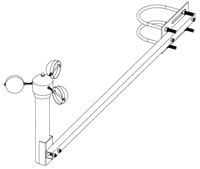 The sensor mounting arm is used to mount wind sensors off of a tubular tower so they can be in free flowing air. The arm holds the sensors over three feet away from the tower. The mounting arm is provided in an unassembled form to save you shipping costs. Assembly is straight forward and will take most users less than 30 minutes. The kit includes a 5/32" hex (Allen) wrench. The only other tool needed for assembly is an adjustable spanner (Crescent wrench), however we recommend that you have an SAE socket set. 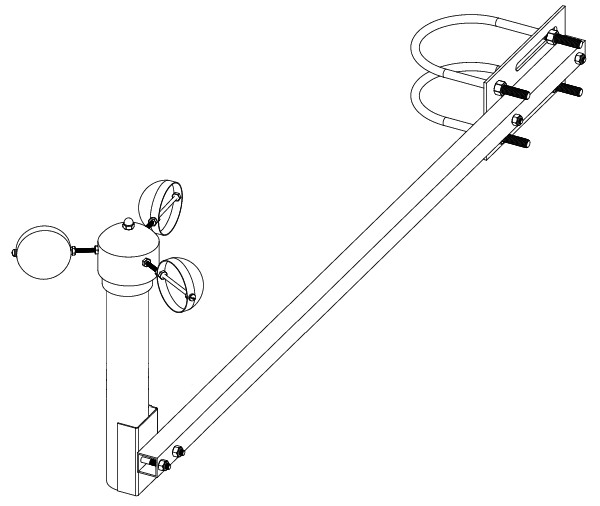 The sensor mounting arm is used to mount our 6500 anemometer off of a tubular tower so it can be in free flowing air. The arm holds the sensor over three feet away from the tower. 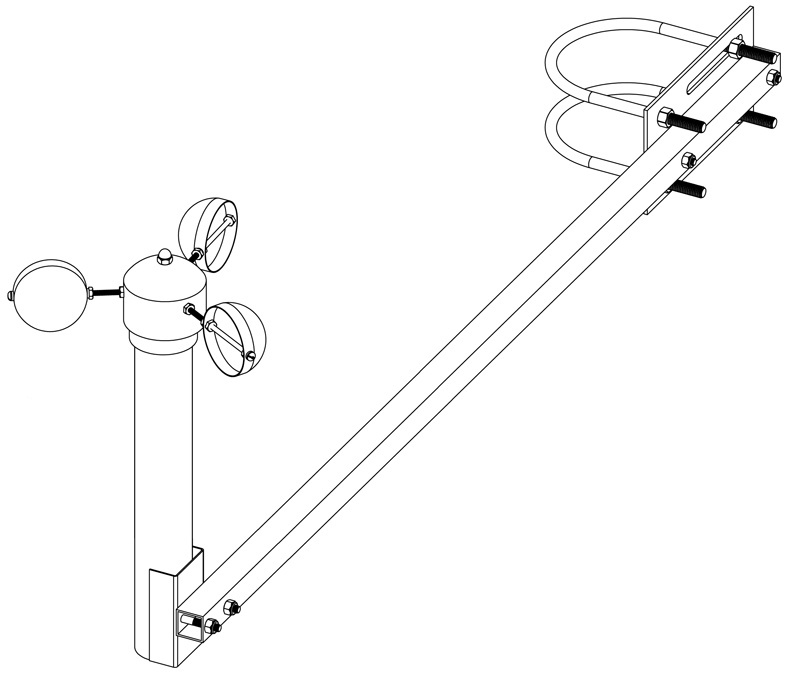 Anemometer and mounting PVC pipe are not included with the mounting arm. Arm is provided in kit form to save shipping cost. An anemometer mounted below a Southwest Wind Power Whisper generator.